When we use Disneyland Apps there, internet must be needed. As official web site says "Complimentary wireless high-speed Internet access (Wi-Fi) is available in select areas", we won't have full Wi-Fi connection. I also considered to buy SIM card at Los Angeles airport, but travel SIM doesn't seem to be popular in mainland US. So I decided to rent a mobile Wi-Fi. I could make reservations via official web site. First, Character Dining. Dinner on the 1st day at Goofy's Kitchen, Disneyland Hotel. Breakfast on the 4th day at Disney's PCH Grill, Disney's Paradise Pier Hotel. I heard the greeting of Mickey Mouse at Goofy's Kitchen was a limited time offer, but it looked become normal operation based on what official web site described. Second, I also booked Dining packages for night time shows. River Belle Terrace for Fantasmic! and Wine Country Trattoria for World of Color. 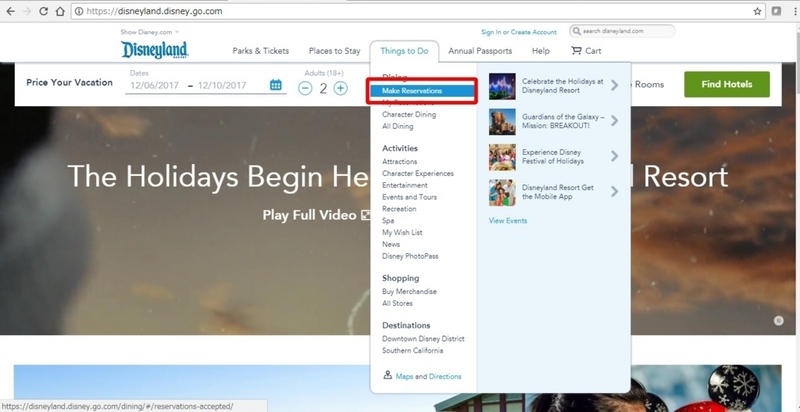 By the way, according to official web site, guests can make dining reservations from 60 days before their visit, but I couldn't make it of Dining packages at that timing. I also couldn't look at Park Hours 60 days previously. I assume guest can start make reservations when Park Hours are visible. 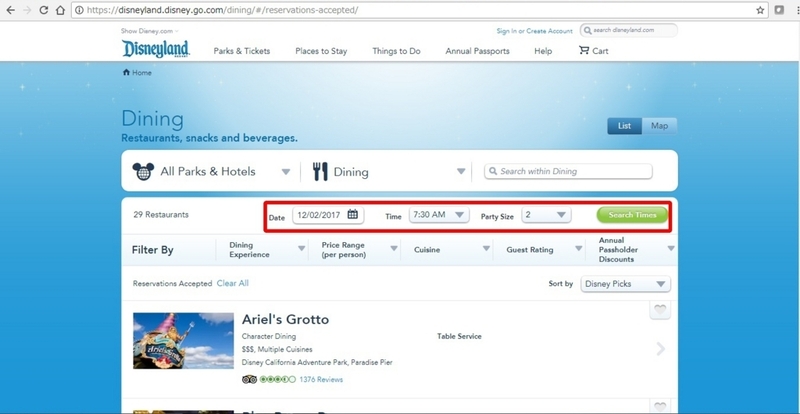 In my case I could see Park Hours 6 weeks before (probably) my visit, and I also could make my reservation at the same time. This is just for your information.